The 11 best Bitcoin wallet apps for iPhone and Android provide users with all the necessary features that allow them to store safely their cryptocurrency and send or receive Bitcoin payments and fund their accounts if they dab in cryptocurrency trading or want to convert it into USD, EUR, or other fiat currency. Therefore, for people who are only starting to use Bitcoin, it’s essential to pick the right Bitcoin wallet and the list on the following pages should give some decent choices. Bitcoin has been around since 2009, but it only captured more attention in the last couple of years, when its value surged and more people started using it to make transactions (see 25 big companies that accept Bitcoin, Ethereum and other cryptocurrencies) and to trade it in order to make money on price difference. As more people have been using Bitcoins, the need to store them became more widespread and since not all people who use bitcoins are tech professionals, app developers launched apps that are simple and intuitive to use and provide a secure environment to store Bitcoins or other cryptocurrencies. Given that Bitcoins are a digital currency, storing it is not the same as with physical currency. A Bitcoin wallet represents a software that manages private keys. Bitcoin is based on blockchain technology, so technically, all Bitcoins are part of a single blockchain transaction ledger. The Bitcoin wallet stores the credentials that give a user access to his Bitcoins and allows access to them for transactions. There are several types of Bitcoin wallets. The most commonly used are software wallets, which are apps on a smartphone or desktop, which connect to the Bitcoin network and allow the user to access his holdings through the credentials or keys. Then there are online wallets, which are similar to apps, but instead of storing the keys in the device, the credentials are stored with the company that manages the website. This is very insecure as the server can be breached and the bitcoins can be stolen. Then there are hardware wallets, which are small devices, similar to USB sticks, that can generate Bitcoin keys offline. Recently, there have been physical wallets introduced, which represent paper print-outs or coins with credentials printed on them, which can be used for offline transactions. Mobile Bitcoin wallets, including the best Bitcoin wallet apps for iPhone and Android, are far from being the safest way to store Bitcoins. Most people keep their phones at them at all times and they can either lose them or have them stolen. Given that a Bitcoin wallet contains the access keys, when a mobile device is gone, so are the keys and there’s no way to recover them, unless the wallet has a backup on a computer. The safest way to store Bitcoins is considered the so-called cold storage, which involves offline storage on a hardware wallet, or on a paper wallet (keys can also be stored on a USB drive). However, even in this way, the keys can be stolen or lost. 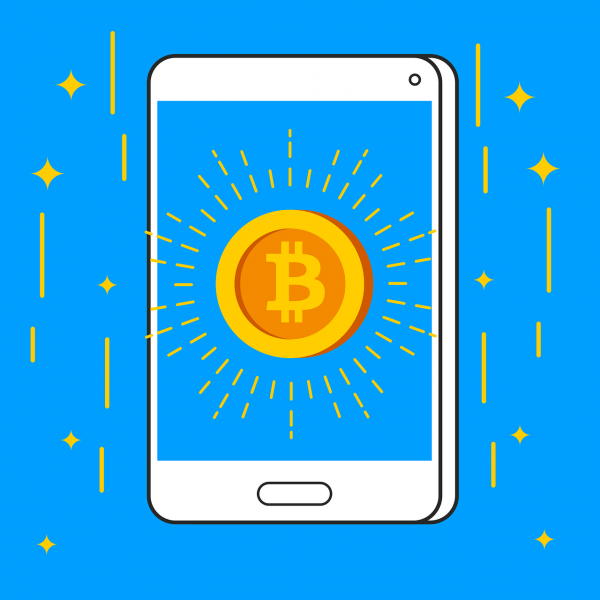 Having said that, let’s take a look at 11 best Bitcoin wallet apps for iPhone and Android.